Embellish and adorn your 1/6 female figures with Nouveau's realistic 1/6 scale leather skin boots. Our boots are made with genuine leather skin and quality craftsmanship finish. 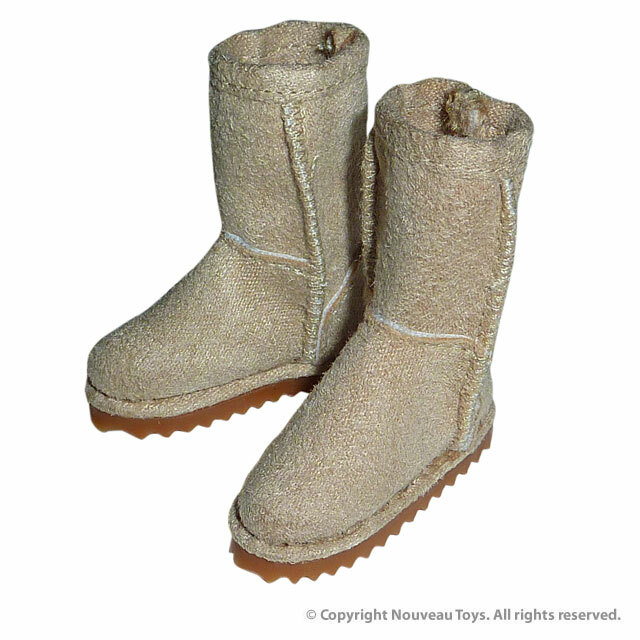 These boots come in light beige and medium brown colors and are perfect as a gift for friends or yourself. Grab a pair and see how it will quickly transform your figure's look. Excellent for all kinds of 1/6 customization projects and dioramas!